H. Dennis Panter & Associates, LLC proudly represents both large and small businesses, developers and institutional lenders in connection with the development, finance, sale, purchase and leasing of commercial real estate. We consider ourselves partners in the success of each client, and we endeavor to live up to the trust placed in us by our clients. Our firm assists clients in connection with pre-acquisition due diligence, drafting of letters of intent and purchase and sale agreements, negotiating of financing documents, coordination of title matters and the issuing of title insurance. Also, our lawyers also counsel clients on lease drafting, lease negotiations, lease enforcement and other legal issues associated with the ownership of property. Our attorneys are approachable and accessible, and we enjoy close client relationships that lay the groundwork for the superior representation that has become the hallmark of our firm. We receive all of our new clientele through word-of-mouth referral as current clients recommend us to their business colleagues, friends, neighbors and family members. Since our law firm was formed in 1995, we have been dedicated to providing our clients with prompt and professional legal advice at cost-effective prices. 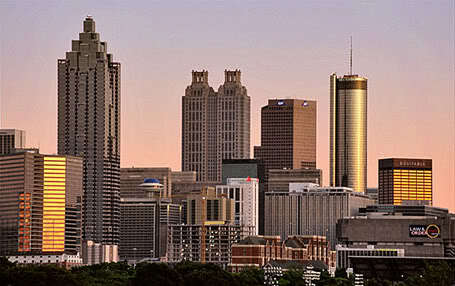 The law firm of H. Dennis Panter & Associates, LLC was established in Atlanta, Georgia in 1995 by H. Dennis Panter. The firm is engaged in a specialized practice encompassing all areas of commercial real estate law, with an emphasis on finance, acquisitions, leasing, transactional structure and organization.